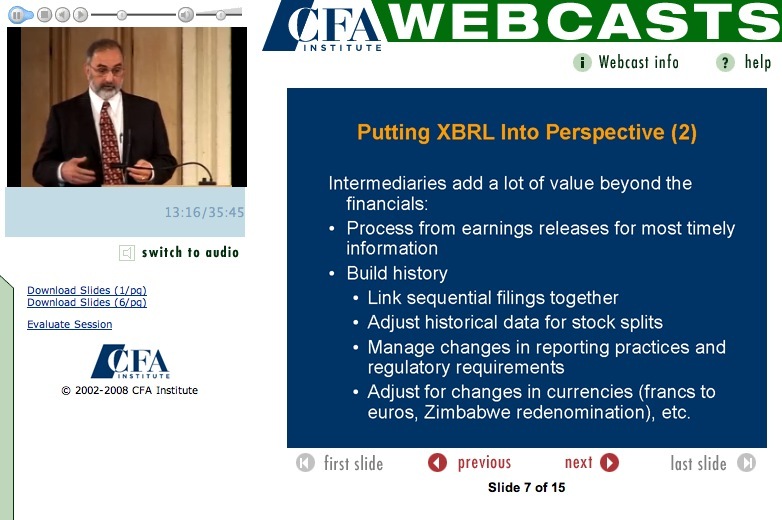 Highlights from the CFA Institute conference XBRL for Investment Professionals, held on 26 September in London, are now available as podcasts from the CFA Institute. They are available for free to CFA Institute Members, just login with your usual credentials. P.S. They are not free to Members, just to conference participants ... sorry!